Last year, Share distributed 27 million pounds of food to 505 volunteer-lead Philadelphia County food pantries. 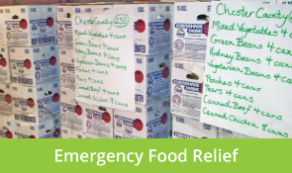 Share’s emergency food relief programs helped over 600,000 low-income individuals each month. 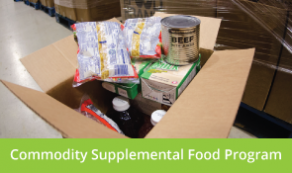 As the designated lead agency in Philadelphia for the State Food Purchase Program and the Emergency Food Assistance Program, Share is charged with ensuring that emergency food relief reaches those in greatest need. Food cupboard recipients are among Philadelphia’s most vulnerable citizens: all are low-income, 12% are senior citizens and 39% are children. The American Academy of Pediatrics recently warned* that lack of adequate food is an “ongoing health risk” to many children; and that hunger creates “immediate and potentially lifelong health effects” on children. The need is growing: please help us reduce food poverty with your volunteer and financial support. 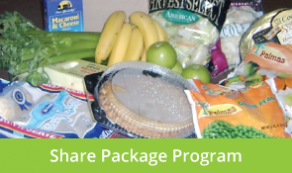 Share’s “Package Program” expands access to affordable food, through below-retail food packages to about 5,000 households in the region. This program helps families purchase and prepare healthier foods. Menus display the relative nutritional values of foods, through Red, Yellow and Green light symbols. This program builds healthy food access and expands community volunteerism. Share distributes food through a network of 100 partnering host organizations: churches, schools, tenant associations, senior centers and other community agencies. Share depends on these relationships with collaborating organizations to carry out its mission. As a host site, your organization will have a program in place that meets the needs of many. Learn about ordering a food package, see sample packages and find nearby host sites. 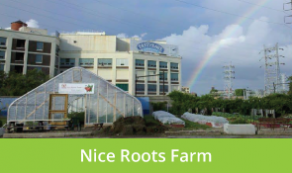 Share’s Nice Roots Farm harvested 15,000 pounds of produce last year. It provided local, affordable and nutrient-rich produce for families in neighborhoods where low-price produce is not readily available. Share provided healthy recipes and advice on cooking, storing and preserving vegetables to retain nutrients and promote good health. CSFP is a hunger-relief program that primarily serves seniors, and is bringing monthly, nutritious food boxes to seniors in Philadelphia, Montgomery and Bucks Counties. Share recently expanded our role in this program, and we are bringing boxes of nutrient-rich foods – including vegetables, fruit, dairy, cereal, and meat – to over 6,000 seniors. Share is honored to build upon our regional work in reducing food insecurity, by supporting vulnerable seniors. Share is an active participant in regional and national forums that promote food justice. 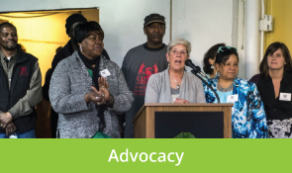 Executive Director Steveanna Wynn chairs the PA Department of Agriculture’s State Advisory Committee, was chair of Hunger Free Pennsylvania for the past eight years, serves on Mayor Nutter’s Food Policy Action Committee, and is a vocal champion for food justice. Share has numerous, vibrant partnerships with a range of nonprofits, community-based and public sector agencies. The Philadelphia Office of Services to the Homeless designated Share as the City of Philadelphia’s managing agency for the State Food Purchase Program, and the PA Department of Agriculture contracts with Share to operate the TEFAP Entitlement Program. Other community partners include the Health Promotion Council, Coalition Against Hunger, the Archdiocese’s Nutritional Development Services and other direct service, planning and advocacy collaborations. Through our Urban Agriculture program, Share partners with the Philadelphia Horticulture Society to share greenhouse space, planting materials and equipment. The Philadelphia Orchard Project planted and tends several fruit-bearing trees at Share; the Philadelphia Bee Project houses beehives on our warehouse roof, and a stormwater collection program is diverting rainwater from our roof into irrigation for raised beds. We have also expanded our partnership with the nutrition education team at the School District of Philadelphia, to help more students and parents access fresh produce and Share Food Packages. This partnership began at one school last year, expanded to 6 Philadelphia public schools this year, and will expand to 15 schools next year. Share is the fiscal sponsor of Sunday Suppers which promotes positive health through family dinners. We use our warehouse to create a dynamic community food hub, with organizations whose missions are strongly aligned. Warehouse tenants include Weavers Way Food Coop, Bennett Composting, and Philly Food Works. 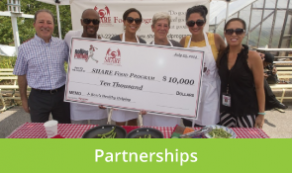 As a community food resource, Share promotes synergies and enhanced efficiencies that result from sharing space, equipment and other resources.